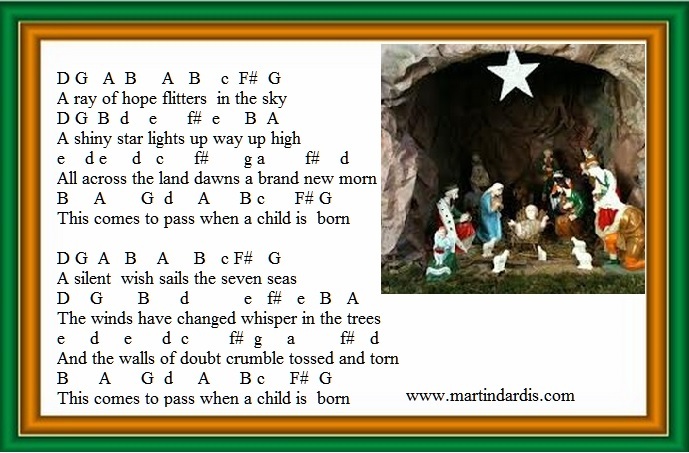 When A Child Is Born Sheet Music For Tin Whistle. Also included is the mandolin / banjo tab. This song was a massive Christmas hit for Johnny Mathis in 1976. Also recorded by Boney M. It was the first and only No. 1 song in the U.K. Charts for Johnny Mathis. It's an easy enough song to play on whistle except it goes a little bit too high for my liking. The basis letter notes are also included, the high notes are in lower case letters and the higher ones are in CAPITAL LETTERS.